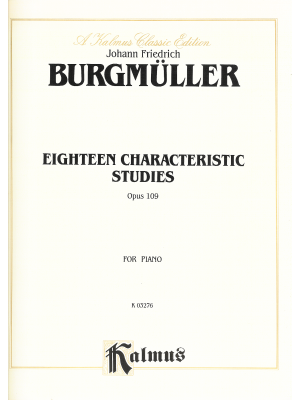 Burgmuller, 18 Characteristic Studies Op. 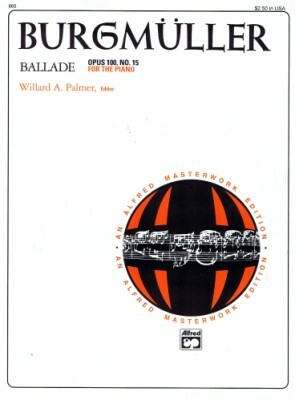 109, Kalmus ed. 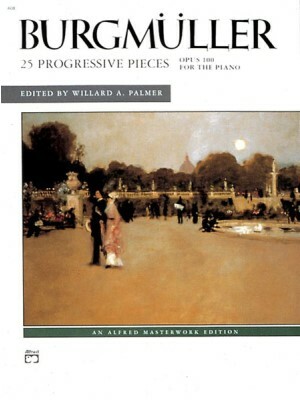 Burgmuller, 25 Easy and Progressive Pieces, Op.100, Alfred ed. 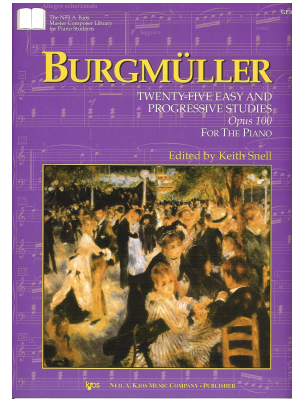 Burgmuller, 25 Easy and Progressive Studies Op. 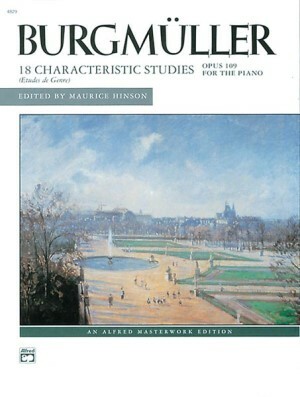 100, Kjos ed. 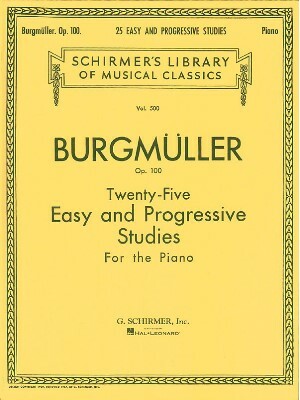 Burgmuller, 25 Easy and Progressive Studies, Op. 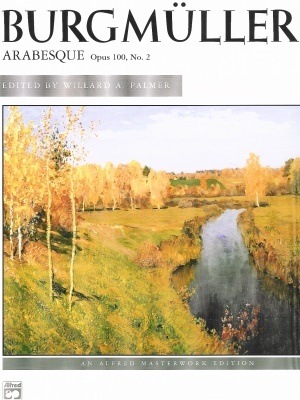 100, Schirmer ed. 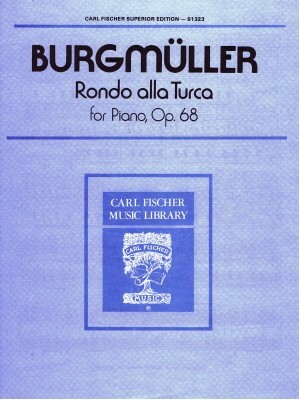 Burgmuller, Arabesque, Op. 100, No. 2, Alfred ed.